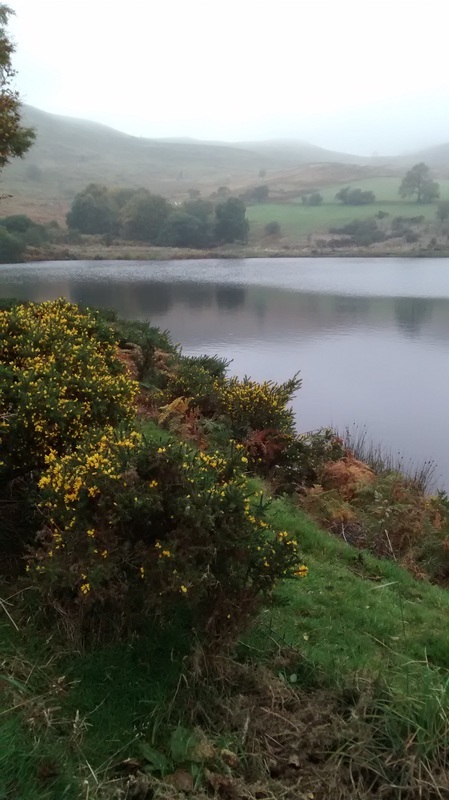 Our walk around Haughton Moss and Bunbury, on Tuesday 10th March, led by Anne. It was a lovely day, fortunately , and we all enjoyed the walk which was about four and a half miles. There were no cows in the fields, but we did encounter two horses, which ignored us completely, much to everyone's relief! The above photo shows the group outside Shrewsbury castle during our walking tour around Shrewsbury on Tuesday March 24th, organised by Pat. We had a wonderful day, and further photos and a report of the day can be seen under Reports. (click here to read about our trip to Shrewsbury and view more pictures). 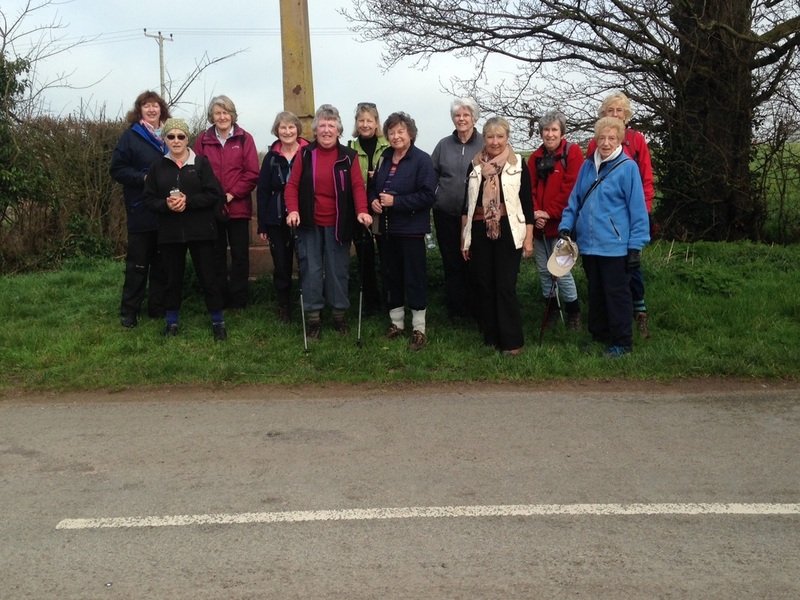 Another lovely walk today, April 7th , led by Sue, around Christleton, a place she know very well. We parked by the duck pond in in the centre of the village , and walked from there, over fields and along country lanes, in beautiful spring sunshine. We walked for about 5miles, following the canal towards the end of the walk, and returning back through the village to the pond. The ducks were very much in evidence, being fed by the small children who had been playing , with their parents, in the playground. As always, we had a very enjoyable time, enhanced by the congenial company, the sunshine and the scenery. It was lovely to have Jean join our group again, as she always tries to do during the school holidays. 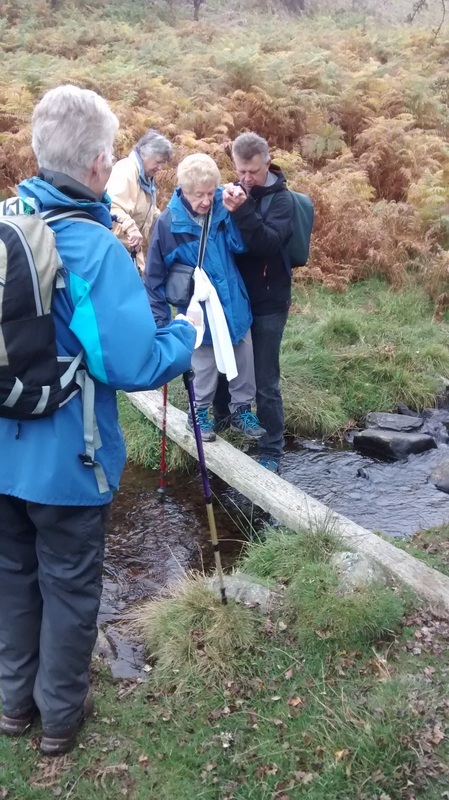 Llantisilio , Velvet hill, Vallee Crucis Abbey were encountered on this 4 mile walk in the picturesque Vale of Llangollen lead by Marjorie on 19th May (pictured above). We were accompanied by two WISHES Keith and Les ,weather was reasonably kind to us and our return journey was along the Llangollen canal and via the Horseshoe Falls, taking in a visit to Llantisilio church ,the churchyard area being full of wild flowers ,particularly wild garlic. A very pleasant day indeed. This walk will be repeated by the Huxley Villàge walkers on Friday June 12th. Betty led a walk around Llandudno on 9th June. By the look of the photograph above and to the right, they had a fantastic day with brilliant sunshine! Our walk on August the 4th was led by Margaret, and was the first half -of the Baker Way . (Photo shown below). We took the bus from Tarvin to the Bars in Chester, then dropped down to the canal path, and started to walk back to Tarvin. The day was very warm, and the walk of about 5 -6 miles , partly along canal paths, partly over fields, was thoroughly enjoyed. We stopped to eat our lunch at the Roman Bridges, and soon after, returned to our cars. Margaret will complete the Baker Way on September the 1st , when we will take the bus to Tarvin, and walk back to Kelsall. 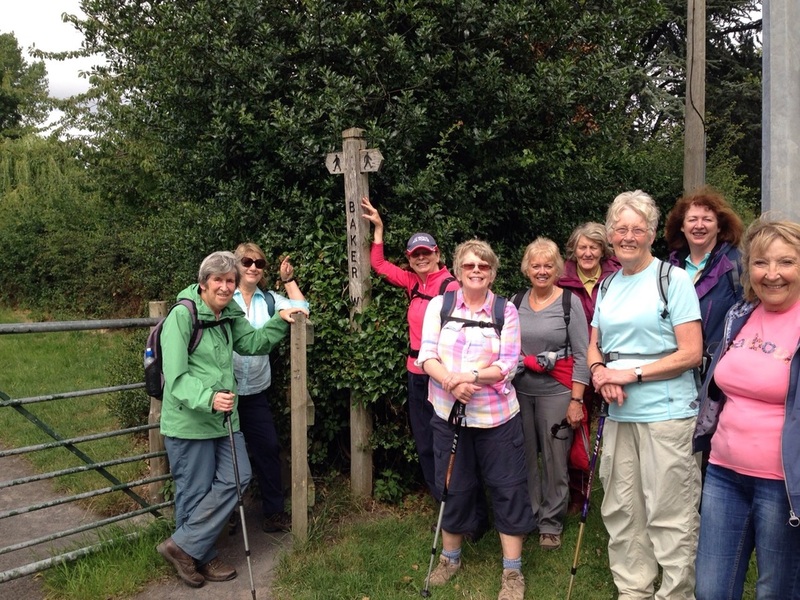 .The picture above shows all the walkers who joined Chris on her walk around Delamere on the 6th October . 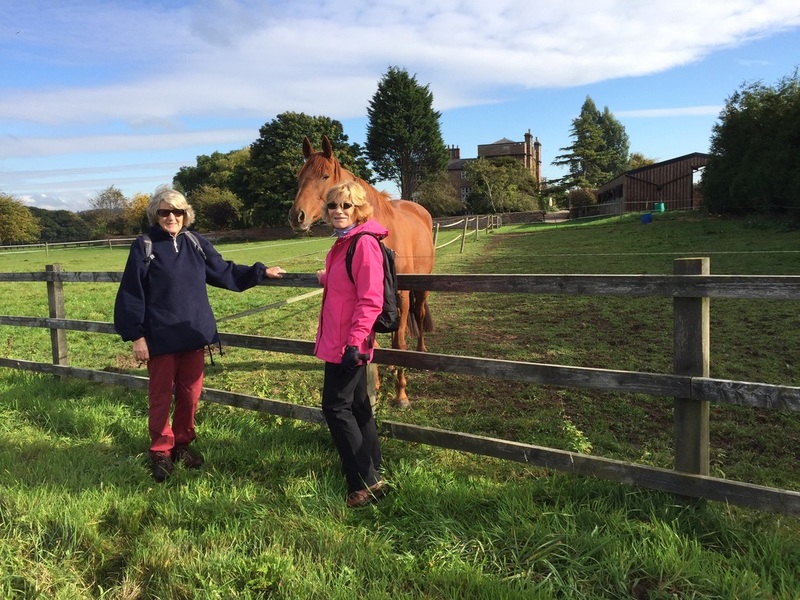 The picture above shows Sue and Vicky during the last long walk, led by Evelyn around Peel Hall, on October the 13th. There were only three walkers who turned up for the last long walk of the year, including Evelyn, of course, who took the photograph. They had a very enjoyable walk. 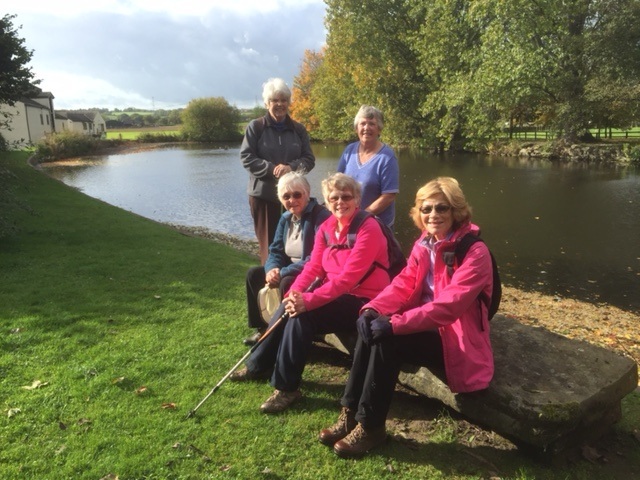 Enjoying the sunshine by Gibson's Mill on our walk around Kingsley on October 20th, led by Ethel . Picture taken by Evelyn. The above two photographs, taken by Marie, are of the walk around Cilcain, led by Marjorie, on October 27th. Marjorie had said that the walk would be easy, but it obviously had its little difficulties! 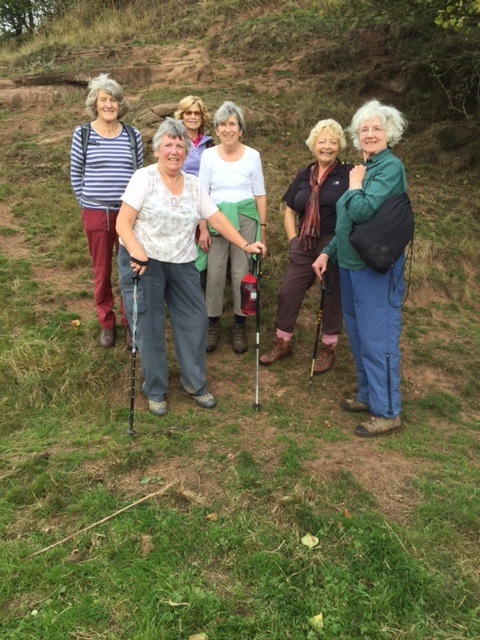 Marjorie had family members staying with her over the half term break, proving very helpful on the walk.